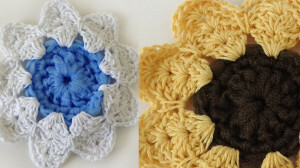 Mix it up when you crochet this cute Flower Scrubbie that is part dishcloth and part scrubbie. 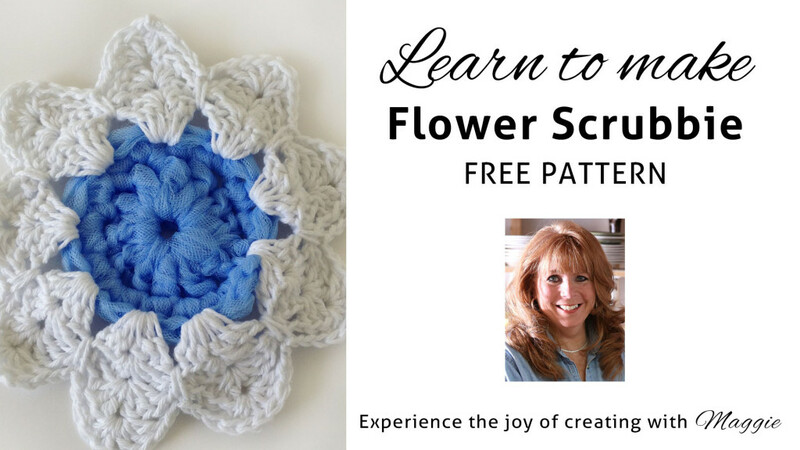 The center scrubbie is crocheted using Diamond Net Mesh, and the outer flower petals are crocheted with Home Cotton. 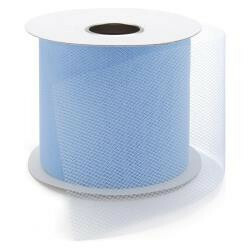 Diamond Net Mesh is a 3″ wide mesh that is great for decorating. You can also crochet it using a very large (Q) crochet hook, but it will take some practice. 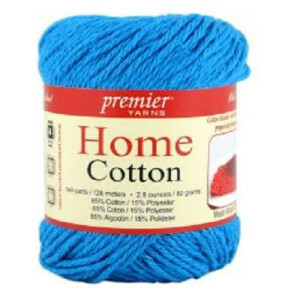 Home Cotton is one of our favorites for kitchen items. Maggie is excited to bring you seven kitchen helper free crochet patterns: Sandcastles Dishcloth, Lumpy Dishcloth, Jar Opener, Broom Topper, Nylon Pot Scrubber, Nylon Scrubbie, Flower Scrubbie.